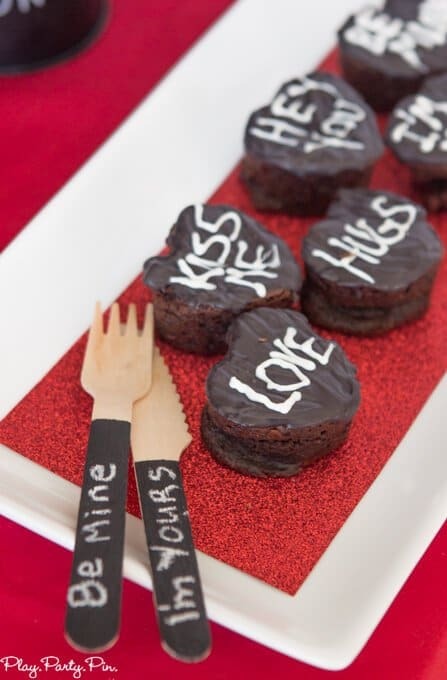 What do you get when you combine chalkboards and chocolate? Chalklate! 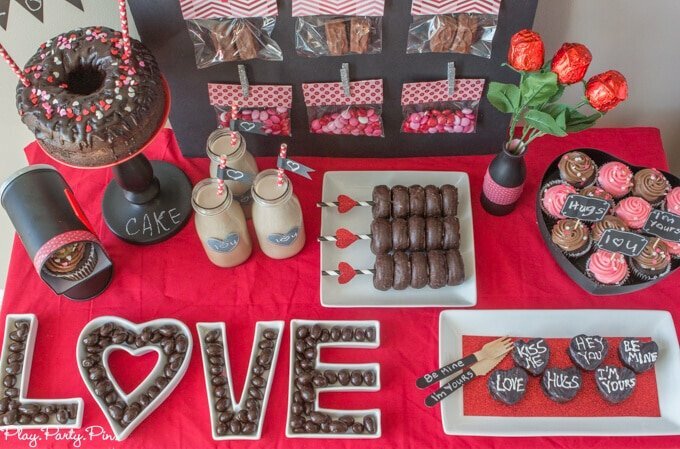 You’ll love these fun and affordable Valentine’s Day party ideas full of yummy chocolate treats and creative chalkboard decorations. One of my favorite all-time places to shop is Target. I’ll never tell my husband this but I’m pretty sure one of the reasons I fell in love with our current house is because Target is literally around the corner. The one time I walked there it took me all of about ten minutes, and I was pushing a stroller. I’ve only walked that once because on that trip I of course found an awesome patio table on clearance and ended up having to call my husband to come pick me, my toddler, and my table up. I learned my lesson and now only drive to Target. One of my favorite parts of Target, okay who am I kidding, my favorite part, is the Target One Spot section. It’s just a given that as soon as I walk in the door, I’m going there to check out what new items were added in the six hours since my last visit And right now, they have the most amazing selection of 40+ cute Valentine’s Day items ranging from cute stickers to washi tape and my favorite, a ton of chalkboard items. Everything is available in the One Spot and costs from $1 to $3 each. 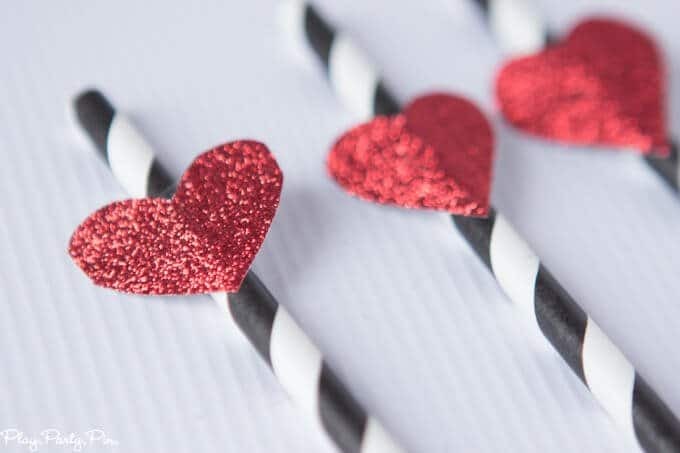 That means that these Valentine’s Day party ideas are not only cute, they’re super affordable too! 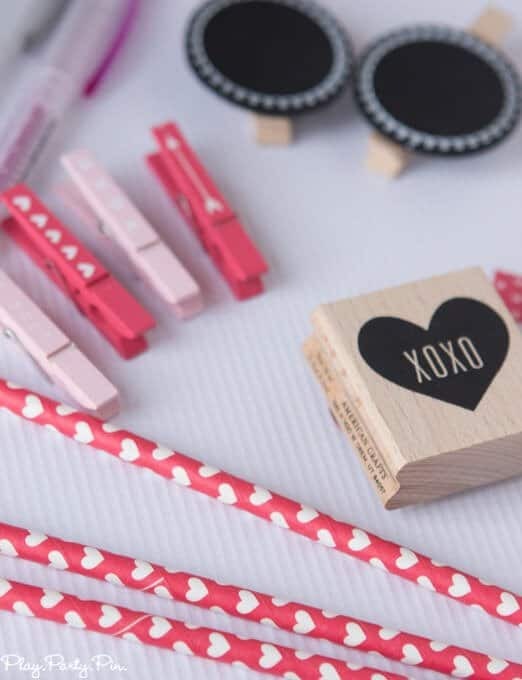 But supplies are limited, so if you want to pick up any of these cute items, you better hurry up because they don’t last long. My One Spot shopping advice – if you see something you like, put it in your cart and buy it. If you don’t pick it up then, you’ll never see it again. They literally can sell out while you’re in the store. I should know since I’m the one who is often buying out entire stocks of items. 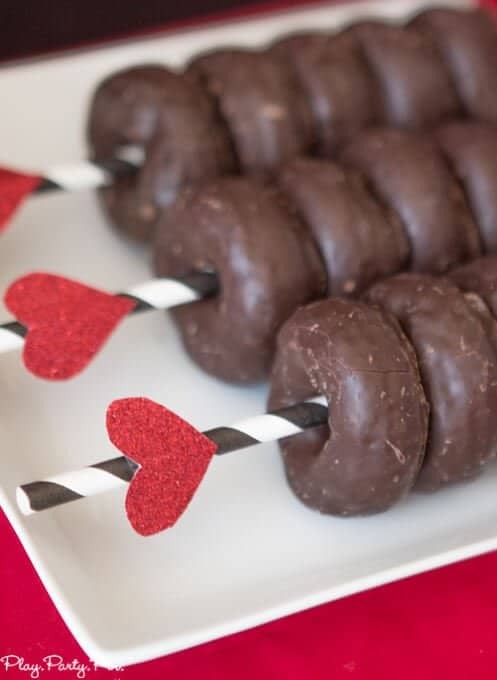 I’m going to admit that when I was trying to come up with a theme for my Valentine’s Day party this year, I struggled. 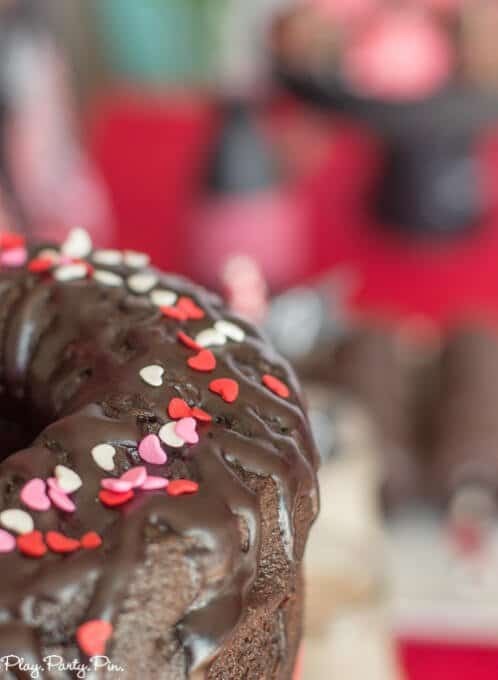 Last year I did a desserts only party and just last week I hosted a craft your heart out girl’s night. Nothing was coming to me until I started looking through all of my Target One Spot items, and it hit me. I had a ton of chalkboard stuff. Chalkboard. Chalk. 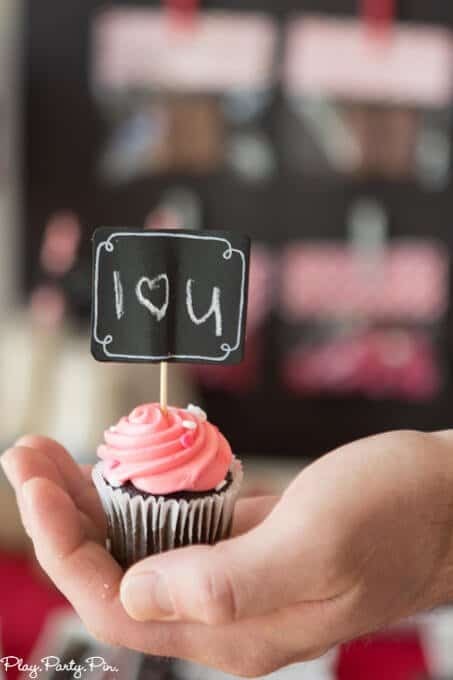 Chalk sounds like chocolate, and chocolate is what every girl wants on Valentine’s Day. “Chalklate” (instead of chocolate, get it??) 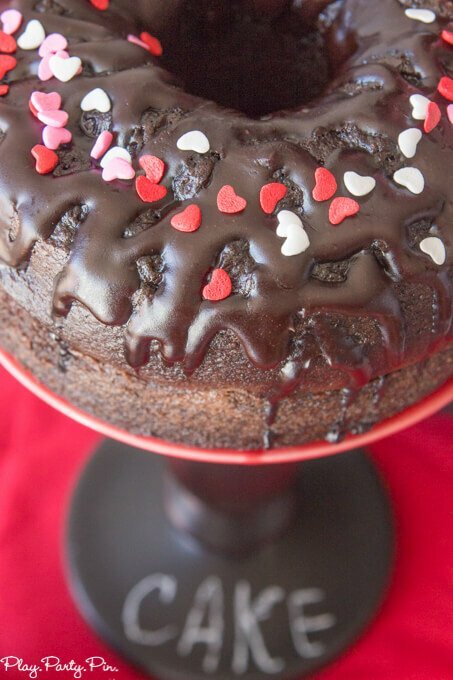 Valentine’s Day party it is! Did you follow all that? I hope so. If not, just ignore my crazy stream of consciousness thinking and just skip to the pictures. 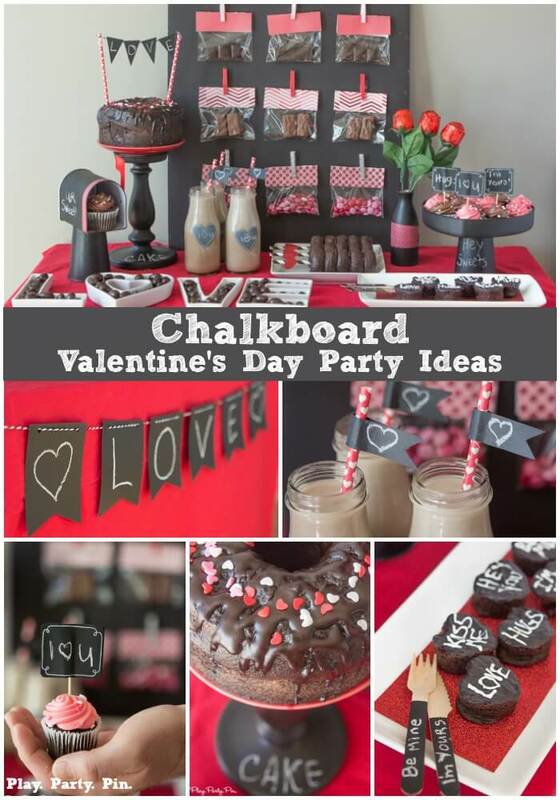 Lots of chalkboard + chocolate = a sweet chalklate Valentine’s Day party. 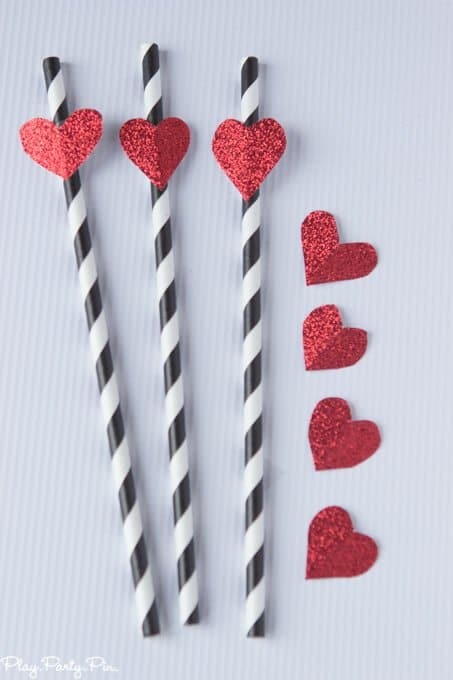 The first thing I did for the party was to play with the patterned straws. 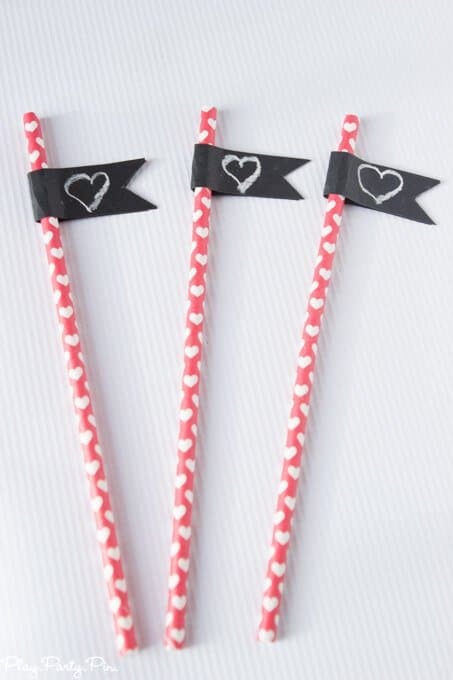 If you’ve read my about page or seen my craft room, you know that I love my patterned straws. And I love to use them for things other than just drinking out of. 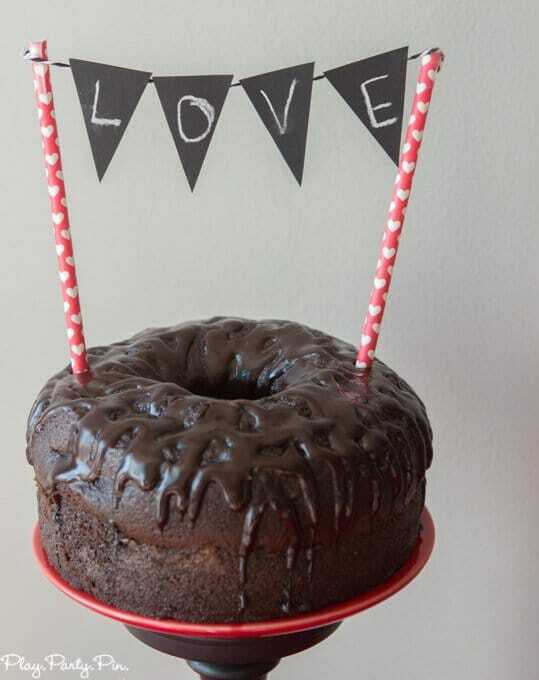 For this particular party, I added glitter hearts to the black and white ones, added chalkboard flags to the heart ones, and added a “Love” pennant to heart ones to top my cake. I almost made letter art out of them like my friends from My Sister’s Suitcase but decided I had enough on my table already. It’s seriously amazing what all you can do with straws with just a little bit of imagination. 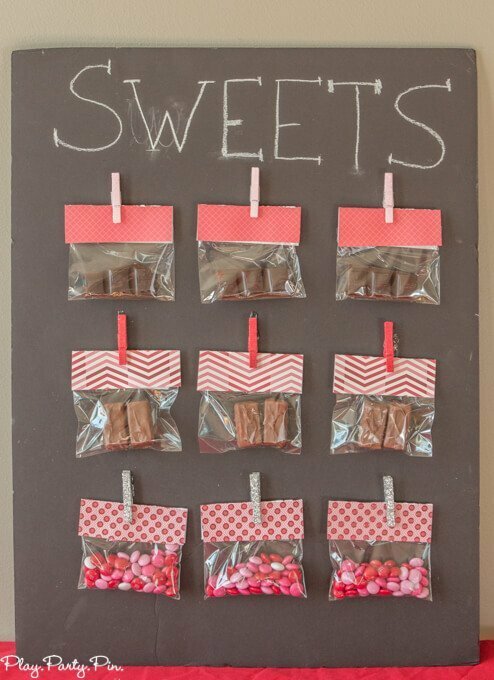 After I finished with my straws, I made the big chalkboard sweets holder for the back of the table. I saw something similar in my new Amy Atlas book and thought it would be a fun way to add some height to my table. 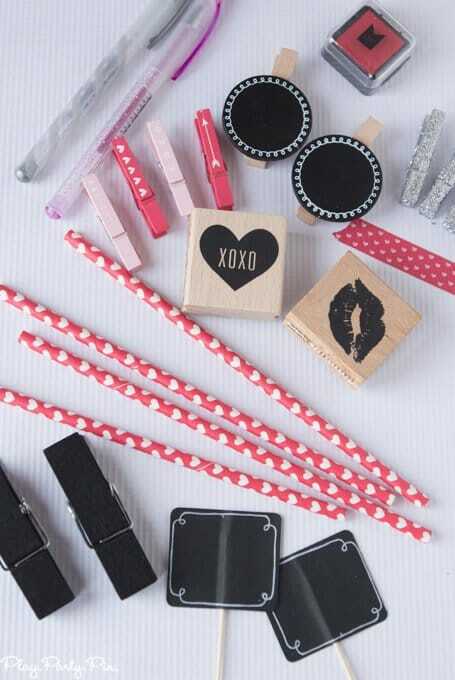 To create the backdrop I simply hot glued small glitter clothespins from Target One Spot on to a black foam board. 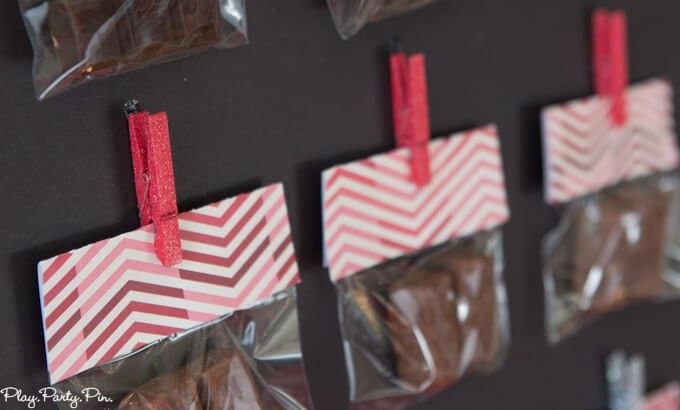 I then filled small plastic treat bags with three different kinds of chocolate and sealed with some leftover scrapbook paper from my craft your heart out party using double-sided tape. And to finish it off, I wrote sweets above all of the sweets. 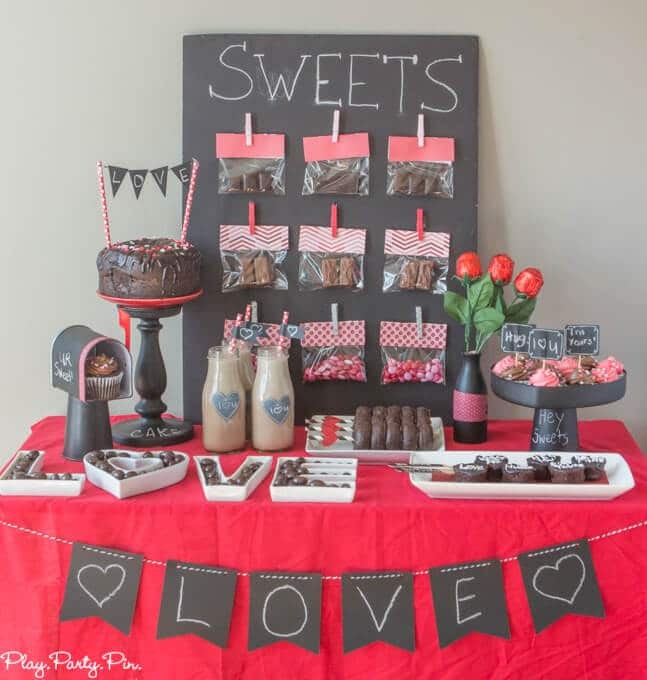 I continued the chalkboard look throughout the rest of the table by painting various items around my house (cake stand, paper cups, wooden silverware, and vase) with chalkboard paint. It’s amazing really what all you can turn into chalkboard with a little paint. 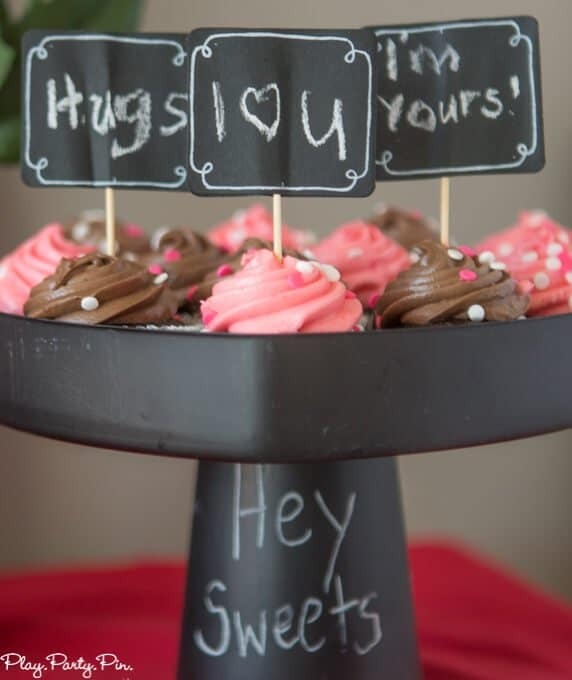 And then I used the other chalkboard items from the One Spot (chalkboard banner, chalkboard flags I cut from that same banner, chalkboard mailbox, and cupcake toppers) to add in all of the little details that really pull a party together. 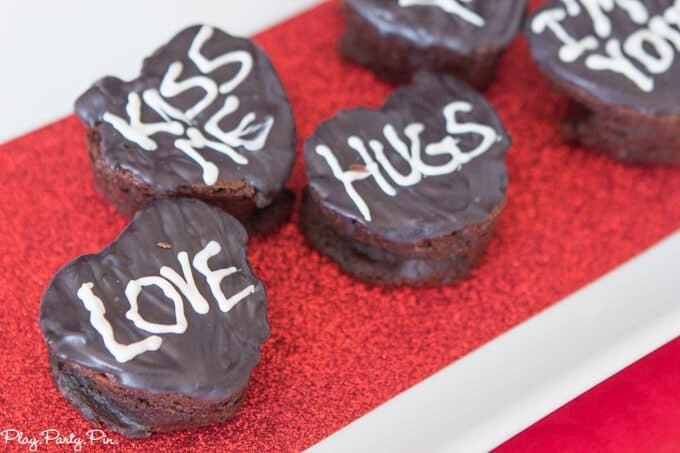 And I even made my own chalkboard inspired conversation heart brownies, which I plated on the red glitter paper for a little contrast. Pretty sure I had a little too much fun writing little love notes and conversation heart messages on every chalkboard surface. But hey, we all need more love in our lives right? 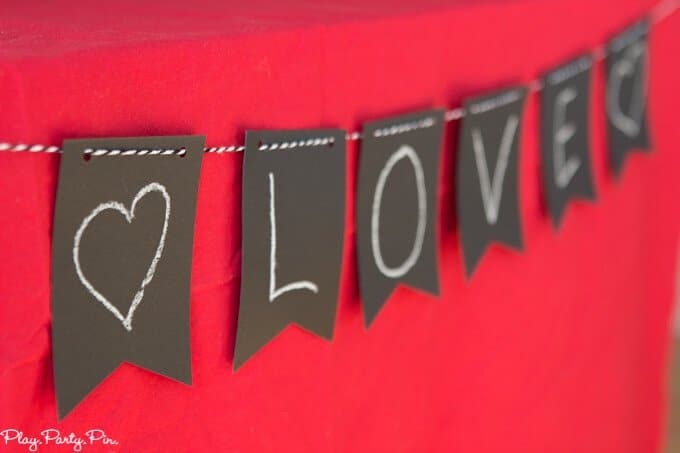 If you love these ideas, don’t forget to stop by your local Target One Spot to pick up items to throw your own chalklate Valentine’s Day party this year! What’s your favorite thing you’ve ever bought from the Target One Spot section? So much CUTENESS!! Love it all. I love all of these ideas so much! LOVE this! Now I will HAVE to sacrifice and go to Target. The.cutest.ever! 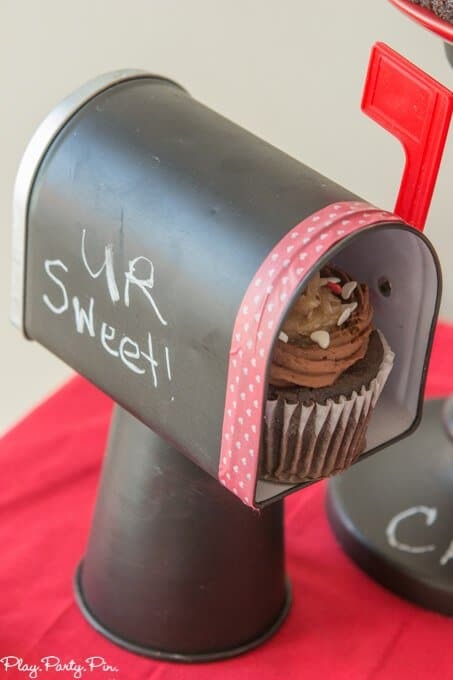 Stopping by from Hit Me with Your Best Shot and pinning to Pinterest! So much cuteness in one place! 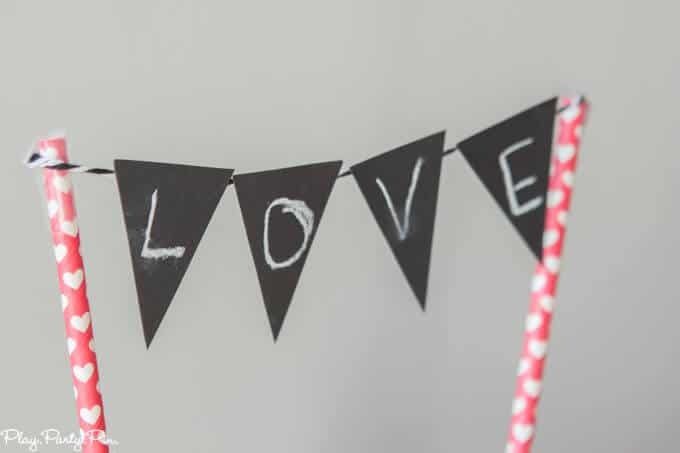 I love the idea of decorating in a “chalkboard” theme! I would totally do this for so many different occasions! Thanks for the inspiration! Pinned!! for sure! 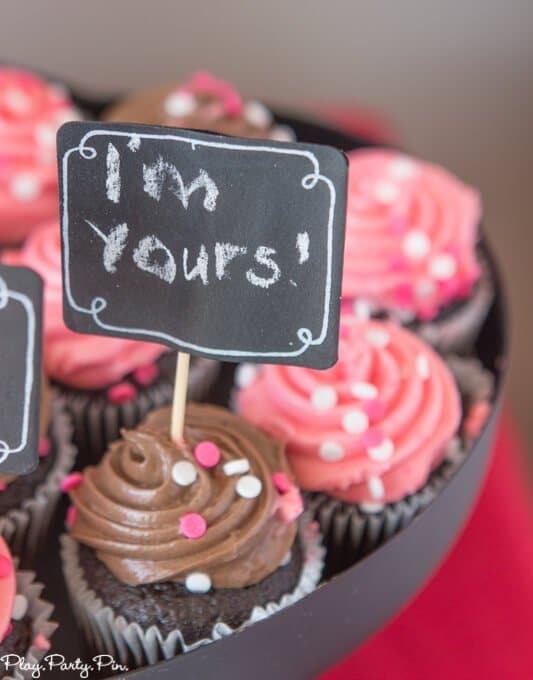 What a sweet party (pun intended). I wish I could manage getting an invite! Thanks for sharing at the This Is How We Roll Link Party at Organized 31. 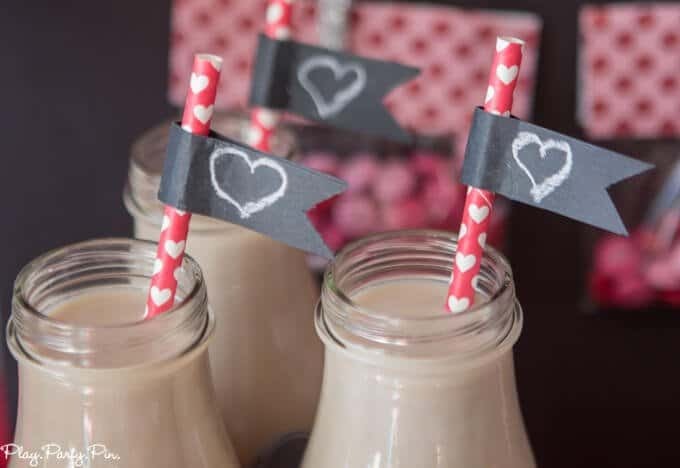 Love the ‘chalkalate’ themed party Britini! And all that talking about Target makes me want to get in my car and see what I can find for out valentines party tomorrow! 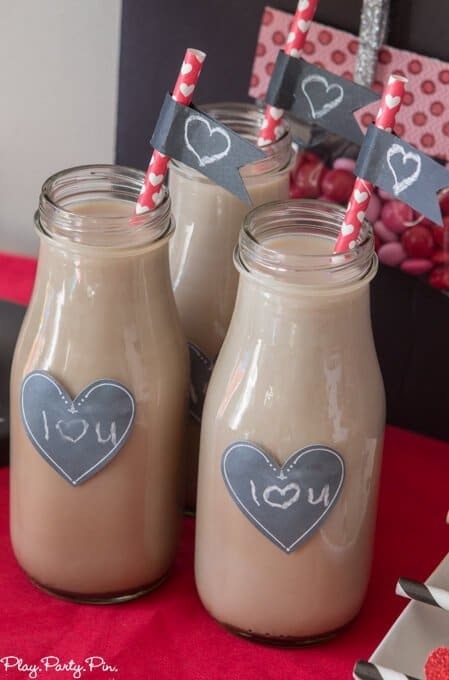 Love, love, love all these cute ideas! Featuring you this weekend on Sunday Features! Hey Britni! I don’t know if you know but we featured this over at Sunday Features. Thanks for linking up! Pinned and sharing on FB this week. Thanks. 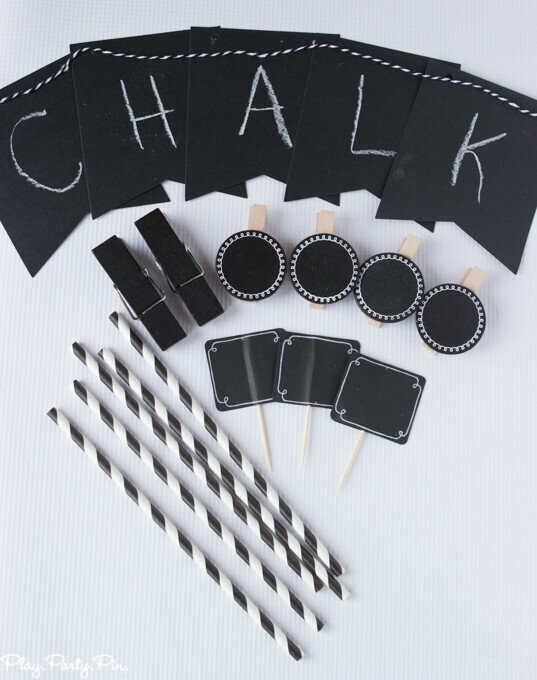 What a great idea, I too have so many chalk items that could be used.